"We believe the value of money is the freedom it provides." 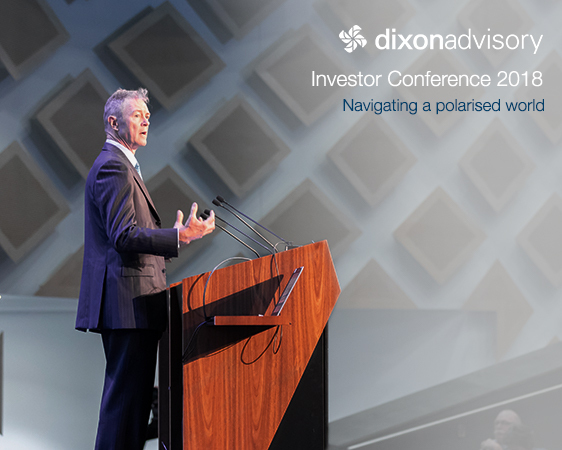 Dixon Advisory is a holistic family wealth management firm supporting over 8,000 Australian members to grow and manage their wealth for retirement through self managed super funds (SMSFs). Our support includes year-round investment, accounting, compliance and administration assistance – something we’ve been committed to for 30 years. As one of Australia’s premier SMSF providers, our team of more than 350 employees based in Sydney, Melbourne, Canberra, Brisbane, Adelaide and New York work together to provide a global outlook for investing. Motivated by an increased demand for financial advice in the wake of a complex new superannuation system, Daryl and Kate Dixon founded Dixon Advisory in 1986. They subsequently identified a need for professional advice to support early SMSF adopters and made it a priority to focus on providing specialist SMSF knowledge. The result is our tailored SMSF support service designed to assist clients with proactive advice and support in the management of their funds. From the International Monetary Fund to the Federal Treasury, Daryl Dixon is a significant contributor to the global finance and investment community. While undertaking further studies at Cambridge, the economics graduate met his wife Kate, a recipient of the University Medal from the University of Queensland. Their son Alan joined Dixon Advisory in 2001, bringing his wealth of experience in chartered accounting and investment banking. Today, Alan is the Managing Director and CEO of Evans Dixon. For three decades, our highly qualified accounting, investment, estate planning, insurance, mortgage, property and financial advice specialists have been collaborating to assess the risks and opportunities aligned with the goals of our clients. This has allowed us to develop innovative services and investment strategies designed to provide choice in different financial markets and market cycles. This approach has also helped us build a reputation for delivering quality advice and administration services. Service and education underpin our commitment to clients. We are passionate about establishing enduring partnerships based on traditional client service – advisers who know you by name and understand your personal goals. Just as important is our commitment to education. We empower our clients to take control over their decision-making – supported by the global insights of our Investment Committee, which comprises financial, superannuation and investment experts who regularly share balanced market analysis across a broad range of asset classes. 165yrsThe combined experience of our Investment Committee. 30yrsOur legacy of providing fee-for-service financial advice. 8,000+The number of SMSF members we support. 20,000+​Australian families who have benefited from our financial expertise over the past 30 years. $7bn​We assist trustees to invest $7 billion in capital. $250m​Alongside our clients, our employees and their families and friends invest $250 million. Dixon Advisory provides one of Australia’s premier supported SMSF services, offering advice based on a balanced analysis of local and global economies. We pride ourselves on protecting the best interests of our clients with the insights of our esteemed Investment Committee and a passionate team of accounting, investment, estate planning, insurance, mortgage, property and financial advice experts. We also readily share insights through our education-focused events and investment presentations, designed to help clients take control of their retirement savings and make informed decisions for their financial future at every stage of life. Empowering your decisions by capitalising on our knowledge. Our team of experts share their global, economic, investment and superannuation insights with clients. Providing you with choice in different market conditions. Since 1986, we’ve assessed risk and opportunities against clients’ needs to develop innovative services and products. Underpinning our commitment to align our principles with yours. We only advise on the services that we believe in and recommend to our employees, families and friends. Delivering you personal service and proactive advice. We pride ourselves on offering clients a long-term partnership with a firm of people, not just one person. At the heart of our business are our people. From senior professionals drawn from global financial services companies to the leaders of tomorrow hand-picked for our competitive graduate program, we employ the finest and the brightest to deliver the best possible outcomes for our clients. With an Investment Committee that has over 165 years combined experience and a senior leadership team comprising some of Australia’s most inquiring economic minds, you can feel confident that you have a highly experienced and trusted team helping you manage your financial affairs. Our passion for delivering personal service and proactive advice is underpinned by our commitment to help clients achieve their financial goals. This has supported our leading reputation as one of Australia’s premier SMSF providers. 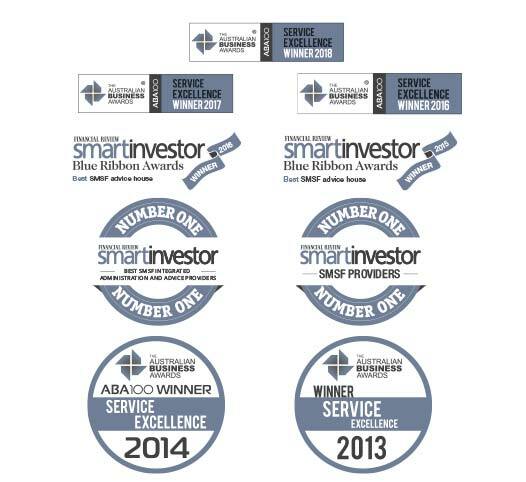 From best SMSF provider to service excellence, our industry accolades are testament to our dedication to deliver excellent products and services to our clients. They also reflect our commitment to innovation in the SMSF industry, demonstrating leadership, agility and service excellence. Dixon Advisory has a proud history of supporting a diverse range of community and business groups through our bespoke partnership programs. We understand the importance of creating and sustaining value for your team. Working closely with you, we develop exclusive tailored financial education programs offering to support those who support you. We’re committed to making a difference in people’s lives, be it through providing advice, community support or education. We’re proud to play an active role in supporting our local communities. We do this by investing in local interests and donating time or financial support to a number of not-for-profit organisations across the arts, education and sport sectors. One of the organisations we’ve been working closely with is Musica Viva. They’re working hard to bring more music to more people in through their Coffee Concert series and Musica Viva In Schools Program. Find out more about our support for this unique music program.